No more sticky, greasy floor problems- Floor Details is the answer to the most common problems with kitchen floors. Sticky floors attract dirt and slippery grease. Restaurants kitchens have become used to having dark, dirty grout and tile, as well as sticky and greasy floors. Floor Details will solve these issues once and for all. Easy and safe dispensing- Just scoop the powder, and pour into the mop bucket. No more calibrating dispensing units, or slow filling of mop buckets from the dispenser unit. And since it is so safe and effective, anyone can use it without worrying about mix ratios, application rates, toxicity levels, or odors. Major reduction of slippery floor issues- Since Floor Details actually cleans the grease off the floor, and contains NO foamy soap or surfactants, it will not cause resoiling or attract grease which is the main cause of slippery floors. Amazing AND safe for Concrete- If used according to instructions, it can even remove OLD oil stains. Nothing compares to its effectiveness, yet it will not damage concrete. Perfect for Drive-Thrus, outside entrances, and sidewalks. Bacteria and mold cannot grow in it- Because it is soap free it will not attract moisture. In fact, it has an indefinite shelf life, even after it is mixed. Mops stay cleaner longer- It naturally keeps mops cleaner longer since there is no soap in the solution, and it prevents mold and mildew. 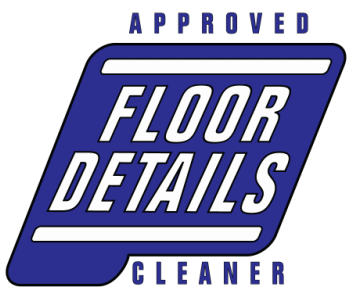 No rinse needed- Floor Details has a neutral pH. No rinse is required. Just mop or dump on the floor, and if desired squeegee into drain. That’s it. 100% odorless- Cleaning products with scents have been attributed with increased employee asthma (Adult Onset Asthma), and headaches. Floor Details is clean and naturally fresh. There is no need to add fragrance to hide high alkaline or acidic odors like other cleaning products have to do. Works great for increasingly odor sensitive customers too.